We already make it easy to dispense supplements and track progress, but we dream of totally revolutionizing healthcare. Get in at the ground floor of a high-growth health-tech startup. We’ve just eclipsed 100 employees, and we’re just getting started. All charts point up and to the right, and we’re hitting new milestones every day. We’re profitable and healthily funded. We’re making medicine easy on both sides of healthcare so that practitioners can do what they do best, and patients can stay healthy. The driving force from the start was our CPO’s wife, Dr. Alanna Dyment, ND. 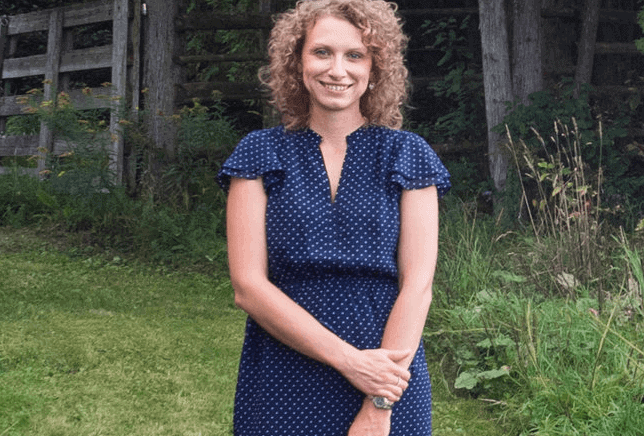 Like most newly certified practitioners, Alanna had an overwhelming amount of debt and was facing the burdensome costs of starting a practice and stocking a dispensary. This was a problem that had no solution. Fullscript was created to be that solution. Fullscript was started with the belief that everyone deserves access to better healthcare. We’re a team that is passionate, supportive, collaborative and fearless. We push boundaries, ship things small, fast and often, and we strive to leave things better than we found them. We offer an incredible range of opportunities for people across all teams and beyond. We’re all about having fun at the office and offsite. Get a glimpse into our lives here. You get to get in at the ground floor, to something that you know is going to be so big and impactful. We care deeply about the people we work with. That’s why we offer perks and benefits designed to help you and your family stay happy and healthy. Reach your health goals with our full benefits plan (dental & vision included), discounts on the Fullscript catalog, and company-wide health and wellness programs that all employees have access to. 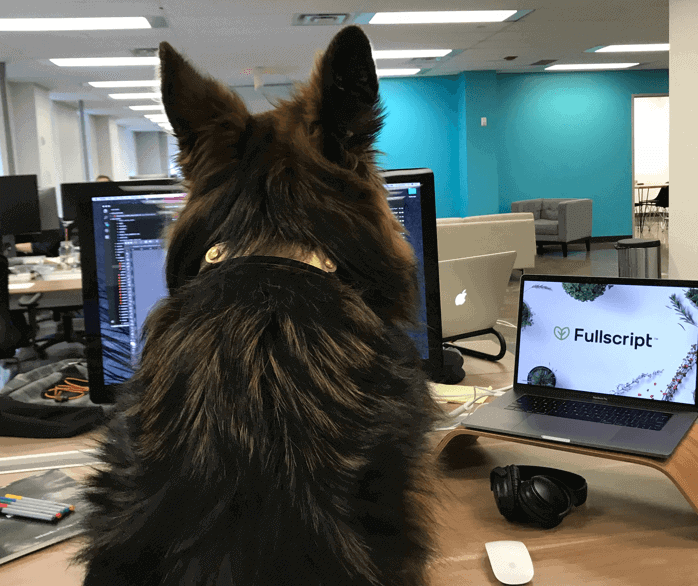 The most exciting and often misunderstood side of startup life, all Fullscript employees are part owners. This means that you own your impact! Working together means winning together. We all row together. Every single person who works here wants to make a difference and do something good for the world. We pull together, we own together, and we do whatever is needed to help one another out. Tech is booming in Ottawa, so we’re making sure to keep our salaries competitive. We are growing fast, which means there are many opportunities to take on a new role or learn a new skill. Whether it’s through our charitable programs or our Wellness Community Engagement initiatives, as employees of Fullscript we work to better serve our local communities. We are a team of go-getters but not everyone digs the 9 to 5. Fullscript offers flexibility in working hours, vacation, and location to help you and your family live a balanced life. We believe in working smarter, not harder. We continue to raise the bar for ourselves and those around us. We support personal and career growth for all to get to the next level. Everyone has something to teach and something to learn. We love our fur-babies and can’t wait to meet yours. Bring ‘em in for your interview! Approved by our pups. You’ll just have to find out what this means once you join the team. Every day you leave work feeling like you’ve moved mountains.There’s a real sense of satisfaction when you get home. Our open concept, dog-friendly office space is located in the nation’s capital, Ottawa, Canada. Within blocks of our office, you can enjoy visiting Parliament Hill, running along the Rideau Canal, or grabbing a bite or drink at one of the hottest restaurants on Elgin street. Fullscript is also conveniently located a block away from plenty of public transportation options. Check out our map of cool stuff near the office! Our space is fun and collaborative, with a fully functional kitchen, free snacks, breakfast, as much coffee as you desire, and all the pups you can pet! Let's take the hassle out of healthcare together. Are you a developer or designer? Check out our Developer Handbook for a glimpse into dev life at Fullscript. That's the goal of Fullscript: making healthcare more accessible for everyone. That’s something worth being a part of. © Fullscript 2019. All Rights Reserved. *The statements made herein have not been evaluated by the Food and Drug Administration. Products are not intended to diagnose, treat, cure, or prevent disease. If you have any concerns about your own health, you should always consult with a physician or healthcare professional.